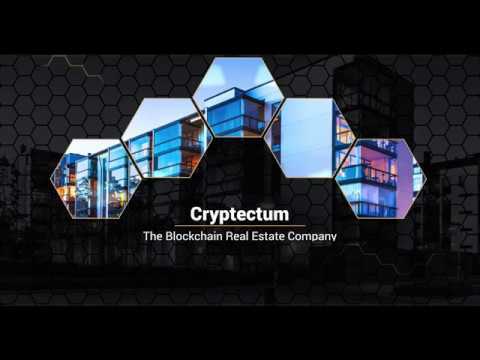 The business of Cryptectum is relatively straightforward: Cryptectum collects funds through Crowdfounding to buy and rent real estate in Switzerland. The rental income is distributed to investors. Due to low mortgage rates in Switzerland, 50% of the real estate is financed with mortgages. The cryptectum will be established as a stock corporation under Swiss law. The special thing about Cryptectum is the collection of funds through Crowdfunding. The administration of the shares is to be carried out using blockchain technology. In other words, participants purchase tokens. With the help of these tokens, the profits are distributed and sale of the shares is made possible. The token name is «Tectum». The ethereum blockchain is chosen as it allows «smart contracts». The ethereum blockchain is the most common blockchain with smart contracts, so there are many possibilities to set up a «wallet». Even without downloading the complete blockchain, a wallet can be created via Metamask or MyEtherWallet which can accept any altcoin based on Ethereum.